Spring is here, and yet there is talk about the end of the school year. With less than two months to go, summer vacation will be upon us. Teachers and children are anxiously waiting for school to end, while parents are anxiously scrambling to plan for what to do with their children for two months at home. Schedule a time to sit down with your child’s teachers to reflect on how the school year went. It’s a great opportunity to evaluate what strategies and approaches worked well so that these can be maintained in the next school year. You may want to schedule this now, because meetings are likely more difficult to arrange in June, especially if you want certain teachers or educational specialists to attend. Find out if your child’s present and future teacher have any recommendations for activities over the summer that can help maintain and practice skills that will be beneficial for the next school year. This can include skills to increase independence and social skills. If possible, find out who your child’s teacher and where his/her classroom would be. Perhaps your child could meet the new teacher and visit the room a couple times before the school year is out. Take photos or videos of next year’s teachers and school areas that your child will be spending time in next year. You could write a social story or make a small video that your child can watch in the summer to help them prepare for next year. Create a countdown calendar for the last couple of weeks of school. Some children will be anxious about the upcoming change in routine. Children may not be able to verbally express this, however, they will be able to sense the upcoming changes. The last month of school is filled with field trips, more “fun” days, end-of-year activities and the excitement of the other students (and let’s be honest, the teachers too). The schedule may not be as consistent as it was during the school year, which may be confusing for your child. Talk to other parents of your child’s classmates to find out if there is interest to get together over the summer for play dates. This is a great way to help your child have opportunities to build and strengthen relationships with classmates outside of school. If you are planning to send your child to summer camp contact the camp program staff to find out more information about the daily schedule and activities. This is so you are able to prepare your child each morning before camp (i.e. verbally, visual schedules, social stories). Pass on any strategies or information that would be important for the staff are aware and can ensure that your child has a great time at camp. If camp is not part of the summer plan, think of other ways to create some activities for your child. This is especially important if your child has limited and restricted interests. They may settle into routines of playing video games or watching television for long periods of time. This may result in more challenging habits to break when it comes time to transition back to school in September. Setting up other activities helps to break up the time and to give your child new experiences. Whether it is vacation, day trips or fun activities on the evenings and weekends. Take photos, draw pictures and write down all the fun things that your child enjoys at the summer. This is a great way to work on skills, but captures memories of summer for him/her to remember and share when they return to school. Summer is a time for your child to enjoy himself/herself and to get a break from the academic expectations that come from the school year. I hope that these tips can help the school year end on a successful note and ease your child into a fun-filled summer. 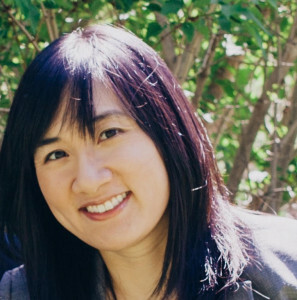 Esther Leung is a special needs consultant who has worked with children, youth and families. She has 15 years of experience in a variety of settings including homes, childcare, schools and recreational settings. She now lives in Chicago with her husband and 2 young boys.